When Jarvis Landry was franchise tagged by the Dolphins last month, it was reported that he was available via trade. On Friday, he got traded. The Browns are sending two draft picks to Miami in exchange for Landry, per ESPN's Adam Schefter, who added that no first- or second-round picks were involved, and the Browns are expected to give Landry a multi-year contract. The move was first reported by NFL Network's Ian Rapoport. Shortly after the news broke, The Monday Morning Quarterback's Albert Breer reported that the Browns sent the Dolphins a 2018 fourth-round pick and a 2019 seventh-round pick. Grading the trade is difficult without seeing all of the details (how much money they'll end up paying Landry), but it's worth noting the Browns own a ton of draft capital and cap space. In short, this is a move the Browns can afford. And it'll make their offense better. Landry, a second-round pick in 2014, has averaged 100 catches per season since entering the league. 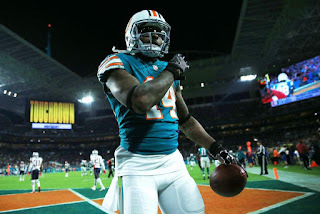 This past season, he led the league in receptions with 112 despite playing on an anemic Dolphins offense, which makes him the first player since Lydell Mitchell in 1977 to change teams the season after leading the league in catches, according to NFL Research. Clearly, he excels at catching passes. 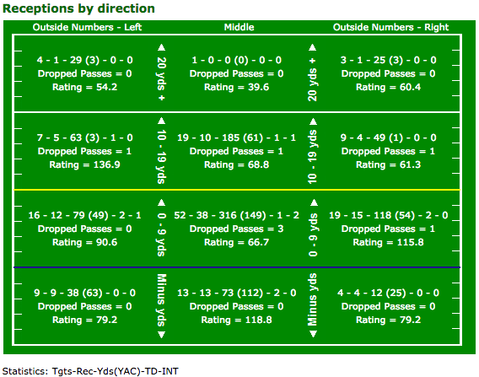 The knock against Landry -- and what makes him such a controversial player -- is that he's not adept at gaining yards. Despite leading the league in catches, he finished with the 17th-most receiving yards (987), which means he averaged only 8.8 yards per catch. In his career, he's averaging 10.1 yards per catch. If you're a Landry detractor, it shows a receiver who is rather limited in his skill set. If you're a Landry defender, it shows a receiver who was misused by the Dolphins. Either way, we should find out soon enough how good Landry actually is. It'd be strange if the Browns gave up two draft picks for Landry and then handed him a lucrative contract all for him to catch screen pass after screen pass. Landry should fit in alongside Josh Gordon and Corey Coleman. With Landry coming to town -- and with Gordon having knocked off the rust in December -- the Browns' offense is certainly more intriguing than it has been in a while. The only missing piece is a quarterback, which the Browns will undoubtedly address in the draft and/or free agency. An offense composed of Gordon, Landry, Corey Coleman, Duke Johnson, and David Njoku has the potential to be exciting. Throw in the fact that the Browns own the first- and fourth-overall picks in this year's draft, which means they have the potential to add, say, running back Saquon Barkley, and you can start to see the makings of an offense that can be dangerous. At the very least, it's an offense that can help the Browns win more than zero games this coming season. From the Dolphins' perspective, they just avoided paying $16.2 million to a receiver who averaged 8.8 yards per catch last season and acquired two extra draft picks that they can use to continue building a roster that needs fixing. The trade will put more pressure on someone like DeVante Parker to finally produce like the first-round pick he is while the Dolphins will likely be forced to address receiver in free agency or the draft. Besides that, it's difficult to assess how the Dolphins made out without knowing how they'll end up using those draft picks. 0 Response to "Browns reportedly acquire Jarvis Landry by trading a 2018 and 2019 pick to Dolphins"